This is a game of English origin and is played in many different ways. It is really a kind of gymnastic game, and in place of the instructions "Put your right hand in"there can be added the right foot,the left foot, the head, etc. 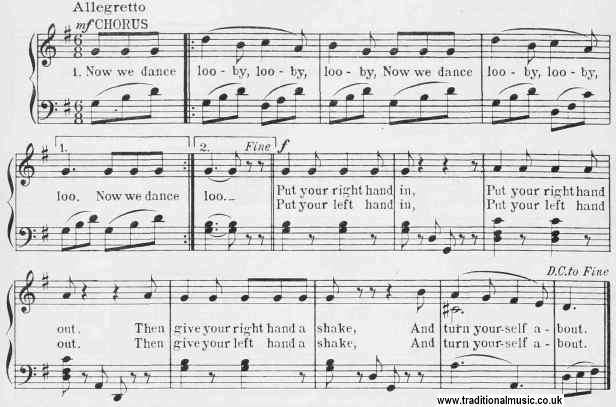 While singing the song the children join hands in a circle, doing the action indicated and swaying from side to side during the chorus, which in this instance begins and ends the song.